As the allies advanced against the French they came under a murderous fire. 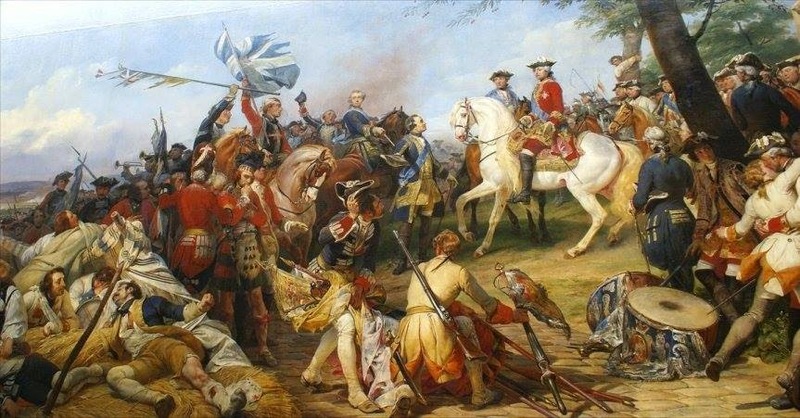 Deserted by the Dutch and Austrian troops the British were forced to halt. Assured of Dutch support a second advance as ordered, but again the Dutch failed to appear. After penetrating the French camp a general retreat was ordered and conducted in an orderly fashion. The 23rd, with 323 casualties, were one of the heaviest sufferers in the battle.